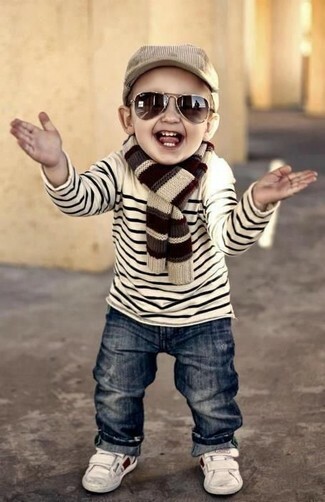 Your tot will look extra cute in a white and navy horizontal striped t-shirt and navy denim trousers. 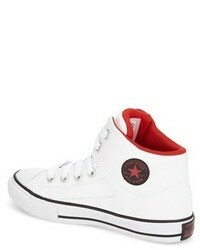 Converse boys chuck taylor all star high street high top sneaker are a nice choice to finish off this getup. 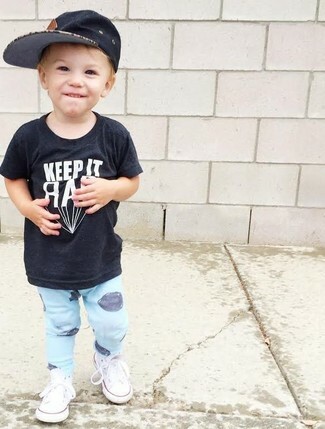 Suggest that your little one reach for a black t-shirt and light blue sweatpants for a fun day in the park. As far as footwear is concerned, let your little one rock a pair of Converse boys chuck taylor all star high street high top sneaker. 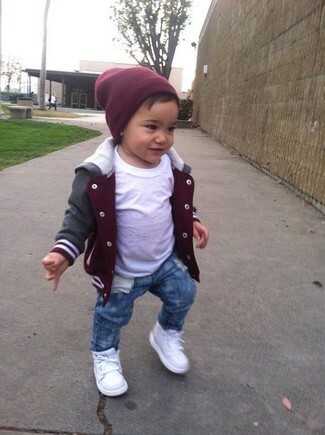 Your little guy will look adorable in a burgundy jacket and blue jeans. 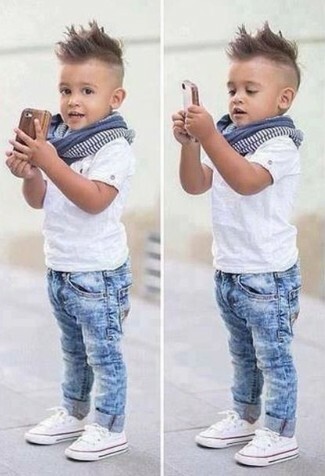 As for footwear your child will love white sneakers for this look. 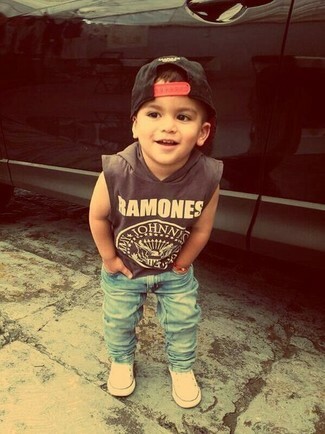 Suggest that your little man dress in a charcoal tank top and light blue jeans for a fun day out at the playground. 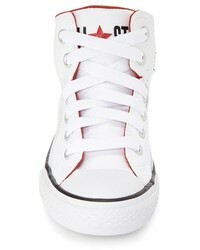 As for footwear your kid will love Converse boys chuck taylor all star high street high top sneaker for this outfit. People will drool all over your child if he is dressed in this combo of a white horizontal striped sweater and navy jeans. As far as footwear is concerned, suggest that your little guy throw in a pair of Converse boys chuck taylor all star high street high top sneaker. Keep your tot's outfit laid-back in a black jacket and navy jeans. 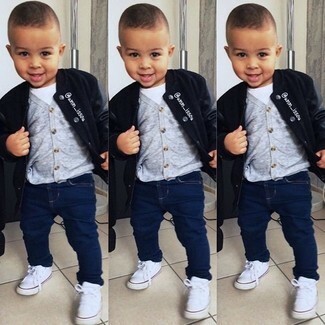 This look is complemented nicely with Converse boys chuck taylor all star high street high top sneaker. Suggest that your son go for a charcoal track suit for a fun day in the park. As for footwear your little one will love Converse boys chuck taylor all star high street high top sneaker for this outfit. Suggest that your little one pair a white t-shirt with light blue jeans for a comfy outfit. White sneakers are a wonderful choice to complement this ensemble. Suggest that your munchkin pair a grey gilet with navy jeans for a comfy outfit. 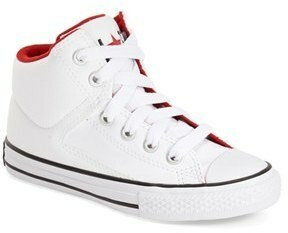 Converse boys chuck taylor all star high street high top sneaker are a great choice to complement this outfit.